Cook County will expand a pilot nutrition program into a second health clinic in the Chicago suburbs in early February. Doctors first began the process of questioning pediatric patients about their access to food at the Logan Square Health Center in September. 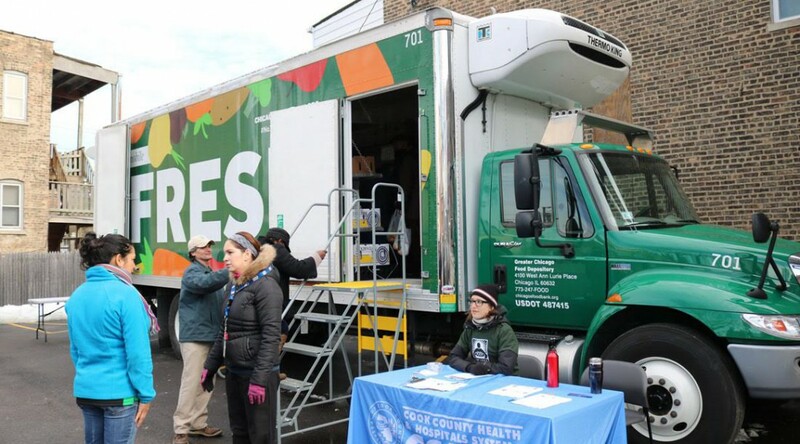 After the success of the initial program, the Greater Chicago Food Depository will start training staff at the Cottage Grove Clinic in Ford Heights on how to conduct food insecurity screenings next week. 40-year-old Ramon Zavaleta is a 4th District police officer with the Chicago Police Department. He is not just a cop. Every day, when his shift is over, he goes to the Community Christian Church and he becomes a boxing coach. Four years ago, he took an empty room in an East Side building and turned it into a gym. 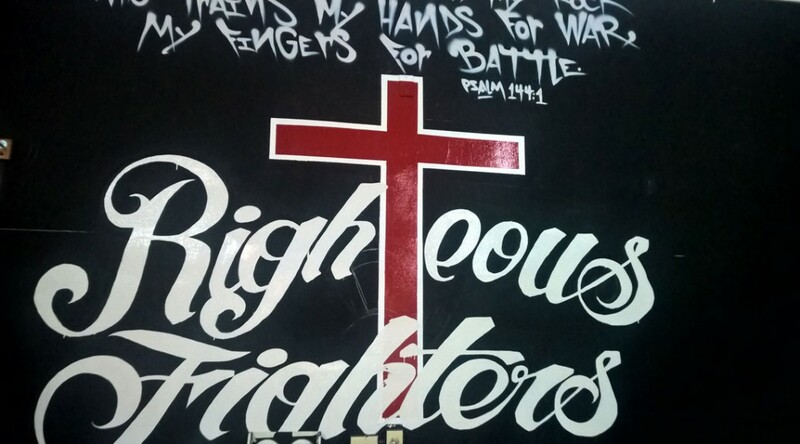 Today it is the home of the Righteous Fighters, a boxing/MMA group founded by Ramon where young people are taught how to box and be respectful. It’s wrong for people to say all lives matter when certain races clearly have an advantage, said Black Lives Matter founder Alicia Garza during a celebration in honor of Martin Luther King Jr. Wednesday at Loyola University. “What we’re trying to shift here is a paradigm, where the experiences of white folks are used to control how everybody else should live,” Garza said. Olivia Segura remembers it in bits and pieces. The before and after. Everything before hearing the news is clear and chronological. Everything after is hazy and nightmarish. 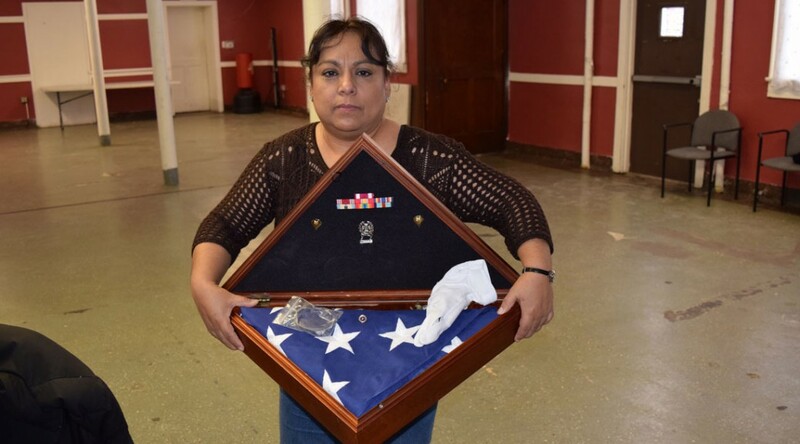 It was Veterans’ Day in 2007 when Segura heard the news that her daughter, Ashley Sietsema, had died while on active duty in Kuwait. She and her husband Alberto had the day off and were unpacking groceries when the doorbell rang and a military officer was at the door. Some might claim that “hip-hop is dead,” but the 7th Annual Winter Block Party for Chicago’s Hip Hop Arts this Saturday suggested otherwise. 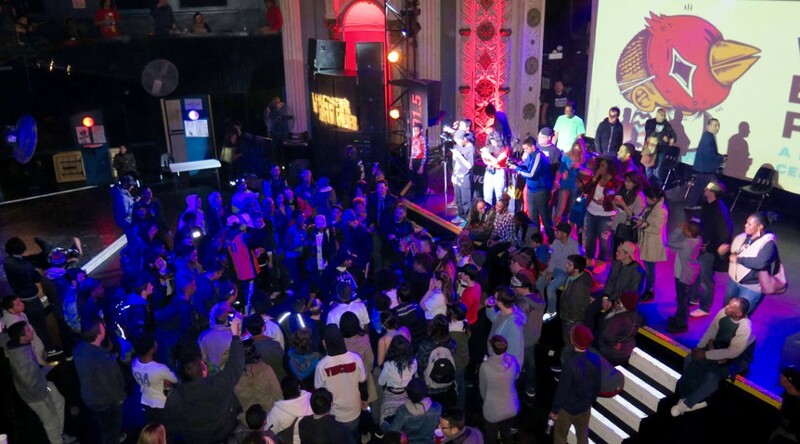 Nonprofit Young Chicago Authors and public radio stations WBEZ and Vocalo hosted the all-day showcase that took place at the Metro concert hall in Wrigleyville. The festivities culminated in a mixtape release concert featuring young up-and-coming spoken word poets, singers and rappers from Louder than a Bomb, a Chicago youth poetry festival. Community-based organizations demanding police reform say recruiting more minorities to better reflect Chicago’s demographics is not enough to improve police-community relations. The recruitment campaign, which is to end this week, will be ineffective unless the city first addresses the policing system as a whole, the groups say. When the Chicago Police Department announced late last year that it was hiring officers for the first time since 2013, the city said the recruitment drive’s most important objective was to increase the force’s ethnic diversity. According to Camesha Jones of Black Youth Project 100, encouraging individuals to join the CPD to initiate reform from the inside will never be feasible. Recruitment is just one of the initiatives that surfaced in 2015 as part of the city’s response to the issue of police accountability. In May, the City Council approved a $5.5 million reparations fund for victims of police torture. In August, the CPD agreed to an independent evaluation of investigatory stops, after the American Civil Liberties Union of Illinois published a report questioning the constitutionality of “stop and frisk” procedures. And in November, three weeks before the city released dash cam video showing a white police officer fatally shooting black 17-year-old Laquan McDonald, the recruitment campaign was announced. For community advocacy groups, replacing cops is not the solution. A civilian-elected board that not only monitors policing, but has authority over how communities are policed, however, is. A coalition of organizations supports the establishment of the Civilian Police Accountability Council. According to legislation they drafted more than two years ago, 25 elected civilians representing each of the city’s districts would be authorized to select the police superintendent and investigate misconduct complaints and all police shootings. The board would also have the power to discipline officers and determine police procedures, rules, and use of force guidelines. “An independent police account board would be a more fair and just solution to dealing with police misconduct and harm reduction,” said Hatem Abudayyeh, executive director of the Arab American Action Network, which is part of the growing coalition. Some members of the communities these organizations represent are not waiting for the city’s approval of the Civilian Police Accountability Council to begin the process of police reform. Instead, they are applying to join the CPD as police officers, optimistic that in time they can make a difference. Danielle Wright, who is hoping to help her city with the tools she learned as an Aviation Ordnanceman in the U.S. Navy, said improving attitudes in Chicago towards police and within the CPD towards the communities depends on shared responsibility. Southside native Katina Hewitt agreed, but said in order to make that happen, the police need to start the process themselves. Residents of Chicago’s largely Hispanic Little Village neighborhood are excited to greet their increasingly diverse neighbors, but the area’s popularity comes at the expense of long-time tenants who grew up in a community with more affordable housing. Jesus Zamudio was born and raised in Little Village, which is just west of Pilsen on the city’s Southwest Side. When Gary was 19, he was offered the painkiller Oxycontin by a friend’s brother. But it wasn’t Oxycontin. It was heroin. Gary didn’t like it very much because it made him feel sick, so he tried what he still believed was Oxycontin two months later, and he was hooked. By the time he learned that what he was taking was heroin, he didn’t care. 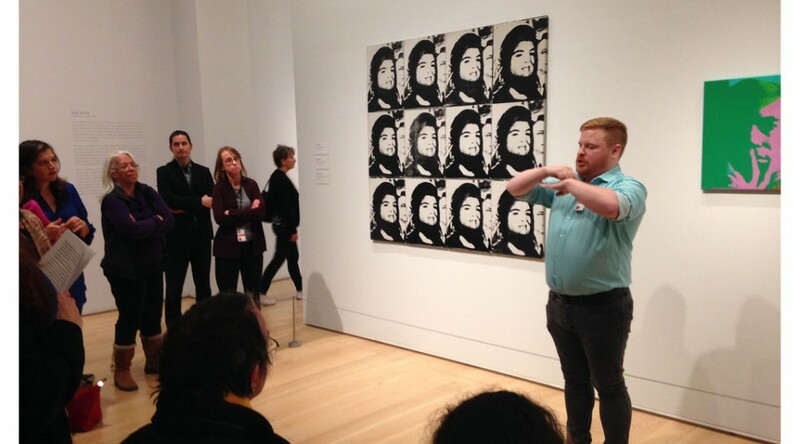 Jonathan Sondergeld pauses in front of Andy Warhol’s “Twelve Jackies” in The Art Institute’s modern and contemporary art gallery so his tour group can catch up with him. After a quick conversation in American Sign Language (ASL) with his fellow tour guide, he turns to the assembled. “Can everyone see me?” he signs. 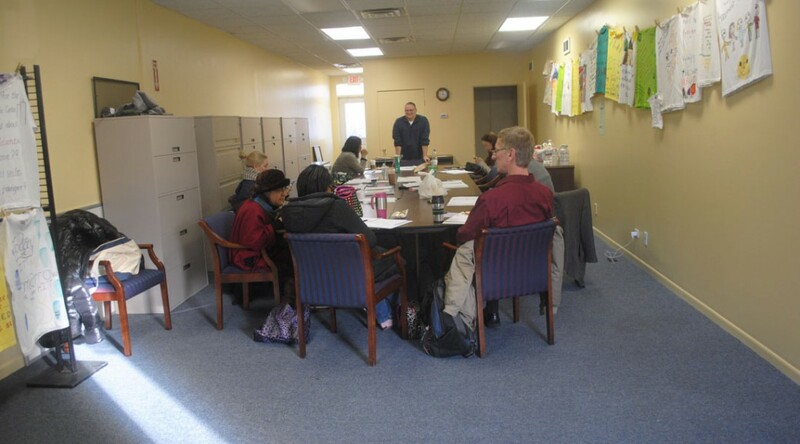 For 20 hours over the course of three days this group and these statements of domestic violence filled the South Suburban Family Shelter as part of the abuser intervention facilitator training.